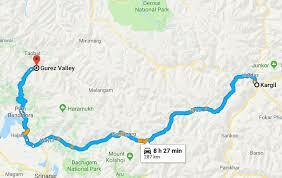 Union Home Minister Rajnath Singh Tuesday announced that a new highway would be constructed in Jammu and Kashmir along the border from Kargil to Gurez. Rajnath said that the Ministry for Road Transport & Highways (MoRTH), Government of India has been asked to prepare the Detailed Project Report (DPR) for the new highway taking off at Kargil in Ladakh and culminating at Gurez in district Bandipora after traversing through Machhil, Keran and Tangdhar. 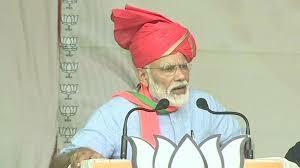 He also took a detailed review of the projects being implemented under the Prime Minister’s Development Programme (PMDP), the Dal Lake Conservation programme, establishment of 5 new battalions of Indian Reserve Police (IRP) in the state, progress of capacity building of local youth under Himayat, Udaan and Prime Minister’s Kaushal Vikas Yojana, Prime Minister’s Special Scholarship Scheme (PMSSS) for J&K students, creation of sports infrastructure and educational exchange programmes. Rajnath also reviewed the progress on relief disbursement to PaK and West Pakistan Refugees, employment package for migrants under PMDP, BADP and construction of bunkers along the International Border and LoC. He also took a detailed review of the developmental issues of Ladakh. Chief Secretary sought the Union Home Minister’s intervention to get Industrial Development Package on the pattern of Northeast Industrial Development Scheme extended to J&K which has extra incentives for the entrepreneurs. He also sought a special dispensation of Rs 1724 crorefor land acquisition under PMGSY which has not been factored in from Phase-X to Phase-XII. 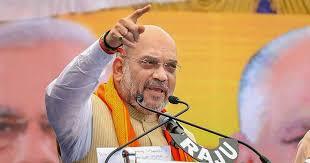 In the afternoon the Union Home Minister held one-on-one meetings with the former Chief Ministers Omar Abdullah and Mehbooba Mufti. He also met political delegations separately from NC, PDP, Congress and BJP.